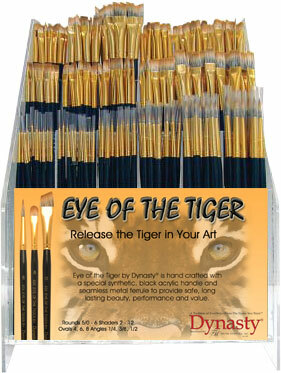 Release the Tiger in Your Art! 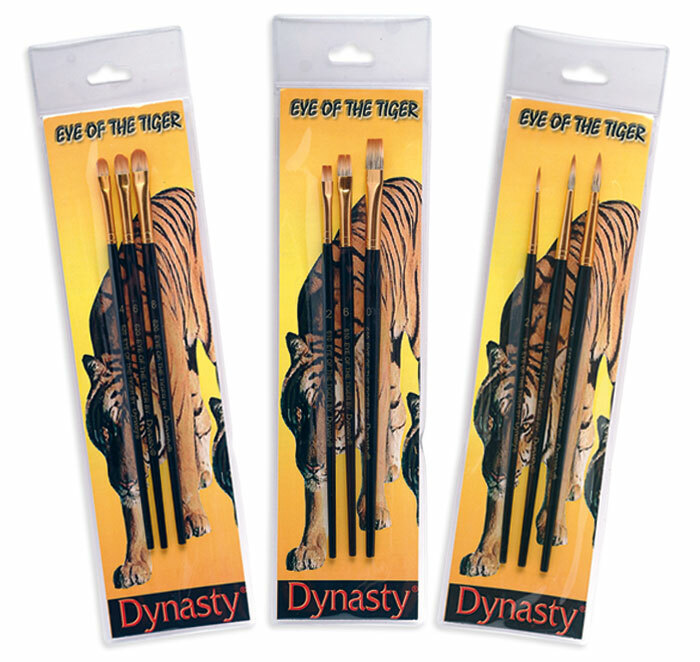 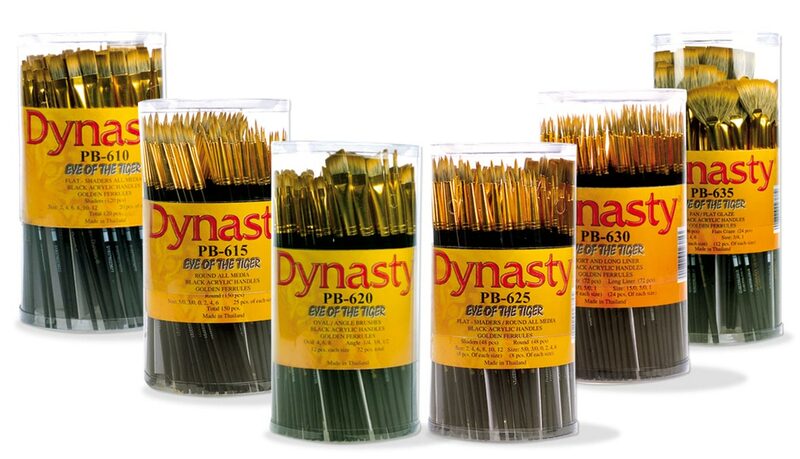 Eye of the Tiger® series by Dynasty is hand-crafted with a specially blended multi-diameter synthetic material, black acrylic handles, and seamless shiny gold ferrules to provide safe, long-lasting beauty, performance, and value. 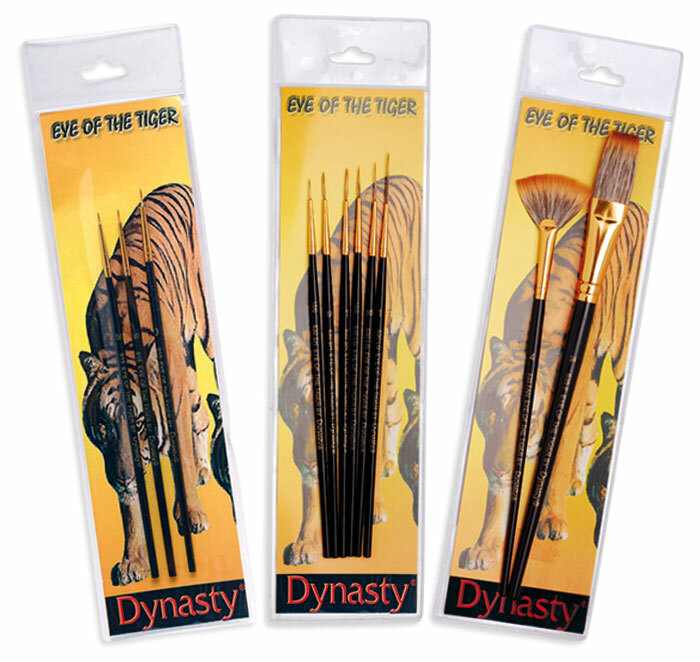 A wonderful brush for ceramics with its flexible material. 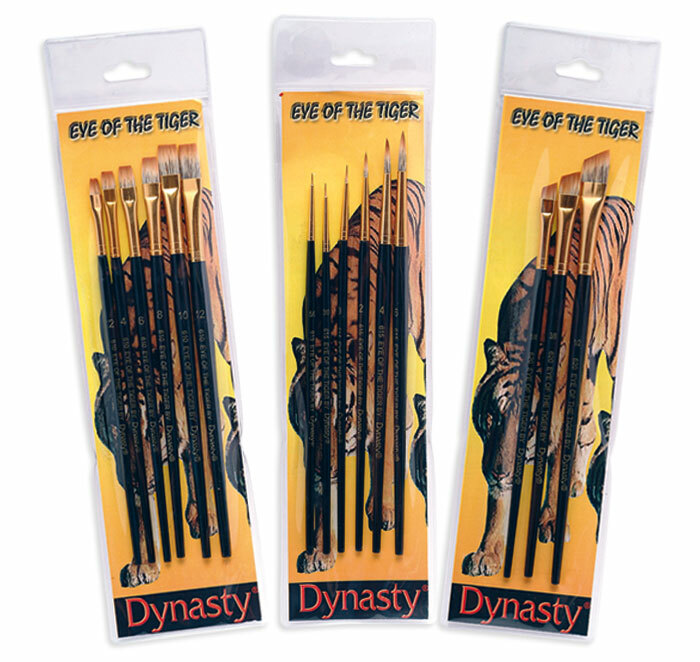 Its versatility allows for crossover from paper, wood, and stone.